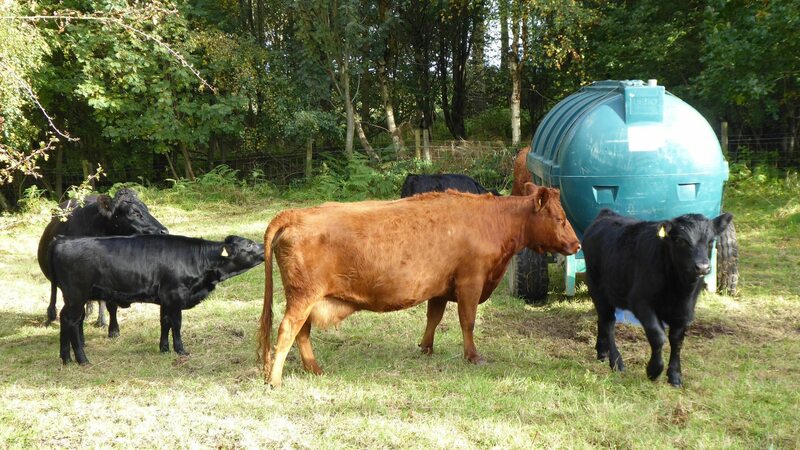 For the first time since the 18th century, cows are grazing in Ox Close Wood! The cows will graze the paddock for a few weeks after which they will go to another reserve to continue their conservation grazing. Once part of the Common lands of EastKeswick, Ox Close was a wood pasture where wood and timber could be cut and extracted during the winter months and animals grazed during the summer by the Commoners of the village – usually the most prominent residents. By the end of the 18th century, the management of Common lands was deemed inefficient so increasing numbers of individual parish Parliamentary Enclosure Acts were passed to provide the legal framework for privatisation. All Commoners rights to graze in Ox Close ceased at the beginning of 19th century on the enclosure of East Keswick when the wood became part of the Harewood Estate. 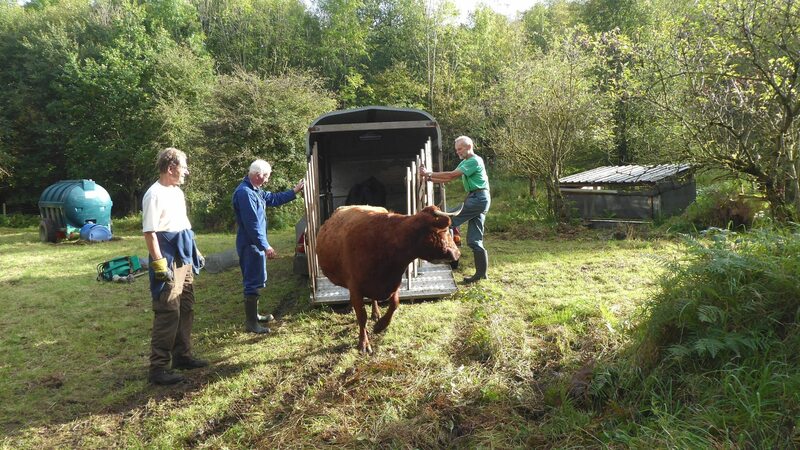 The photos show three cows, each with a calf being let into the wood. Because Clarita (below) has horns, she had to be transported separated from her calf and separately from the other cows. All six cows are in this photo!